The seventeenth-century Imperial Palace in Kyoto, a pivotal work of Japanese architecture, often described as the 'quintessence of Japanese taste'. According to architect Kenzo Tange,Katsura epitomizes two most important forces which date back to the dawn of Japanese history (and pre-history) and which define the Japanese culture: the Yayoi and Jomon. The Yayoi has been the refining and civilizing force, created by the desire for order and beauty, which came to be identified with the imperial class. 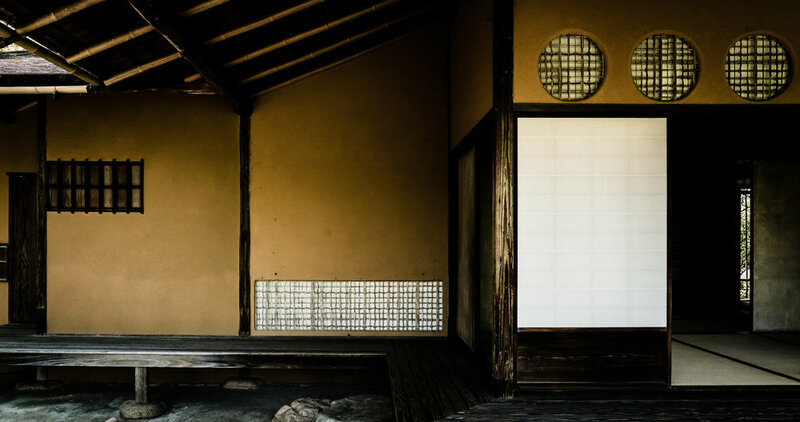 From the Yayoi culture, Japan obtains its eye for refinement and sophistication. The Jomon culture, on the other hand, represents the wild and energetic side of Japan. Created by the common people, who were dependent and close to nature and who shunned the more rigid social system, it epitomizes a more spontaneous type of creation. Tange considered Katsura to be an example of beautifully coherent work, which reconciled or combined these two opposing forces. To him, it represented a synthesis of passion and refinement at all times tempered by a love and kinship with nature. "It was in the period when the Katsura Palace was built that the two traditions, Jomon and Yayoi, first actually collided. When they did, the cultural formalism of the upper class and the vital energy of the lower classes met. From their dynamic union emerged the creativeness seen tin Katsura--a dialectical resolution of tradition and tradition." Applauded for its functionality, efficient use of materials and "eternal beauty" it has been an important source of inspiration to modernist architecture, including Le Corbusier, Walter Gropius and Bruno Taut who considered it a work of "great skill and artistry."